I played on Friday at a course that had lush, thick grass throughout, which made for perfect fairway lies and penalizing rough. I shot a 78 with 12 pars and 6 bogeys, which is a strong round for me. The interesting part was that I only hit 7 greens, so I had 5 up-and-downs, and none of those were on a crazy long putt - hellooo Bridgestone! The versatility and stopping power of the 54 and 60 shined during this round. 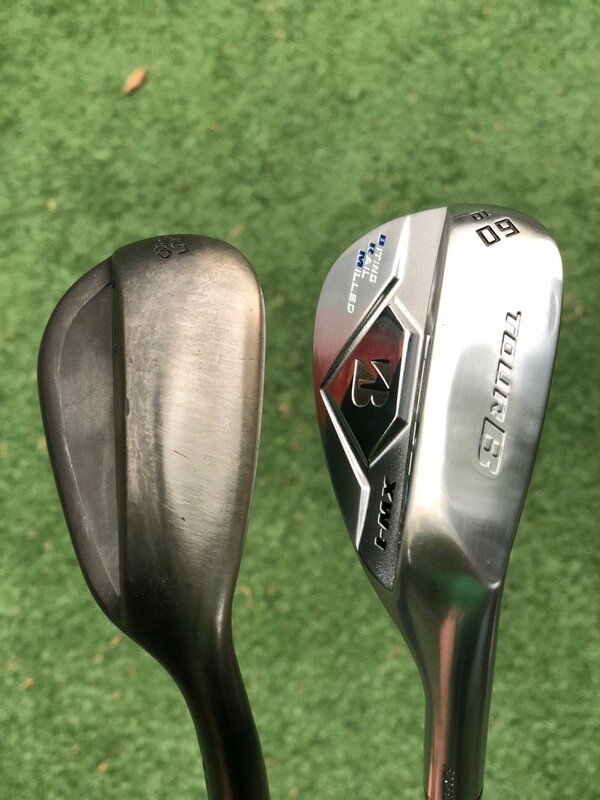 I still haven't made up my mind on keep vs. trade, but I do think there are certain golfers out there who would really appreciate what these wedges have to offer. Yes they would benefit from different grind options, but given limited budgets and the fact that this is still essentially a niche club, their choice is understandable IMO. Knowing what I know now, I would’ve been interested in their “most forgiving” A grind on a 54 if available, and then M grind for the 60 (or 58 even). I’ve had the birds nest lie a few times and these can get through the lie with no issues, and in fact I think the sharper leading edges help here. The only thing I have had to get used to for these is the weighting which is lighter than what I prefer, and caused some distance control issues at first. Thank you! Yes, I feel very comfortable opening the face, hooding, toe down. Only thing I still am not comfortable with is closing the face of the M grind on chips out of tighter lies, which is I think due to how sharp the leading edge is. I am also still getting used to the sharper leading edge when chipping, as mentioned in a couple of my comments about digging in sand/soft turf (better golfers might appreciate this though). 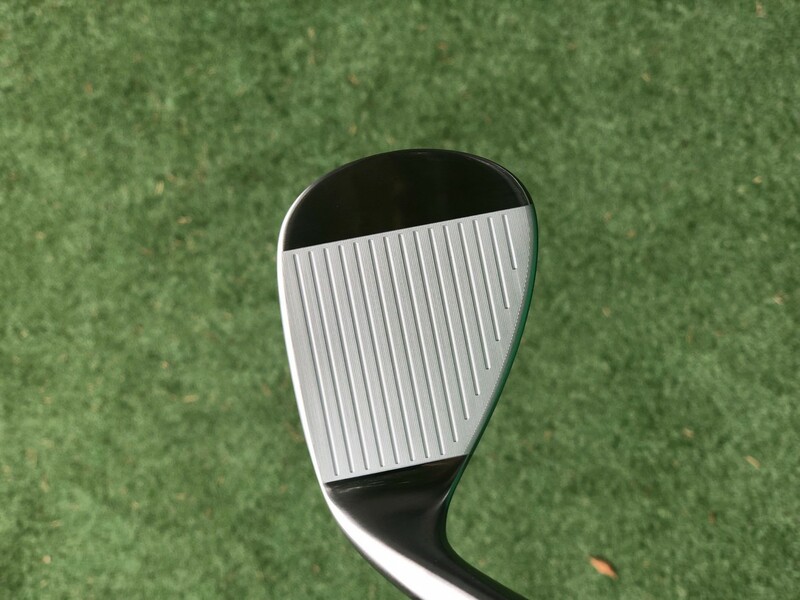 I've shifted to chipping more with my 54 and the face slightly open whenever possible, whereas with my Pings I usually chipped with the 58 ES and the face close to square. @GolfSpy STUDque on the pitches and out to 50-75 yard shots, aside from still honing my distances, these wedges are standouts for me. I am getting more spin than with my Pings, which is nice because most places I play have hard & fast greens. I also will flush these shots more often, and the feel when you flush these is amazing (blows the Pings out of the water IMO, and I don't mean that as an insult to Ping - these Bridgestones just feel that good). The other main question marks I still have are around the shafts, as my ball flight is really high with these Modus 105s. They feel really smooth, I just wish I could've gotten a heavier version that might be a little more low launching. Seems like a peculiar choice of stock shaft when they are marketing to better golfers who tend to have higher swing speeds, but that's obviously just one man's opinion and buyers are free to choose other options when getting these. I am playing tomorrow, hopefully I can report back on a dunked chip! Balboa is a public track right downtown with an interesting layout and I think is only like $55 with a cart, $65 on weekends. As long as it hasn't been recently punched it should be in really good shape pre-summer. Just hit it straight... Coronado would be another good public choice close to downtown - especially on a weekday where I'd imagine pace of play isn't brutal like it is on weekends. Definitely under $100 even when you pay the advanced booking fee. Views there are tough to beat! I personally like both of those better than Riverwalk and Admiral Baker FWIW, but have played both plenty of times and they will certainly get the job done, and it obviously depends on pricing and proximity to your hotel. If you do choose Riverwalk there are 3 nines and I would avoid the Friars nine. Admiral Baker is a little bit further east but still pretty close. These 4 courses are the closest to downtown. I played over the weekend at Torrey Pines North Course. The greens were just installed a couple of years ago and are both fast and rock hard. The rough plays much shorter than when the tour stops here, but with our recent wet (relatively) winter it is still very thick for at least another month or two - the combination really puts your wedge game to the test. 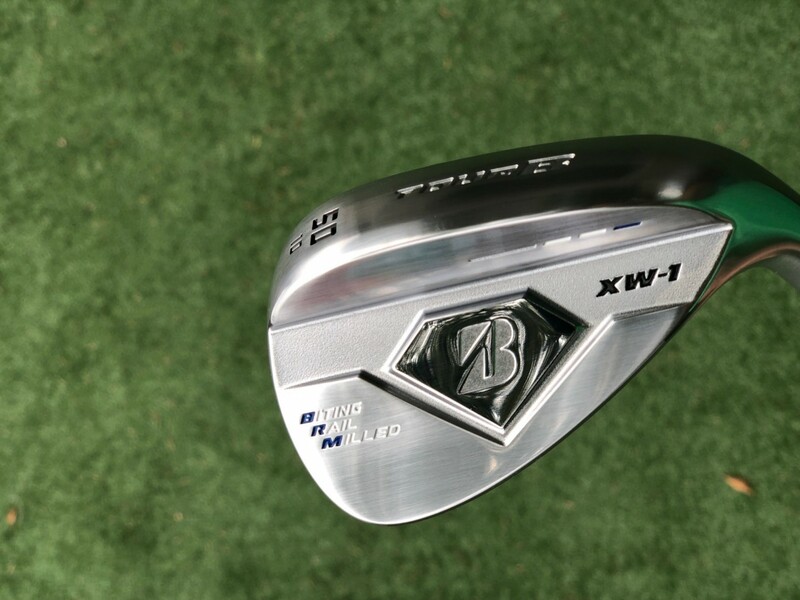 Overall I am still largely positive on these wedges, with a couple of lingering question marks that I need to figure out in the coming weeks before making a final decision. 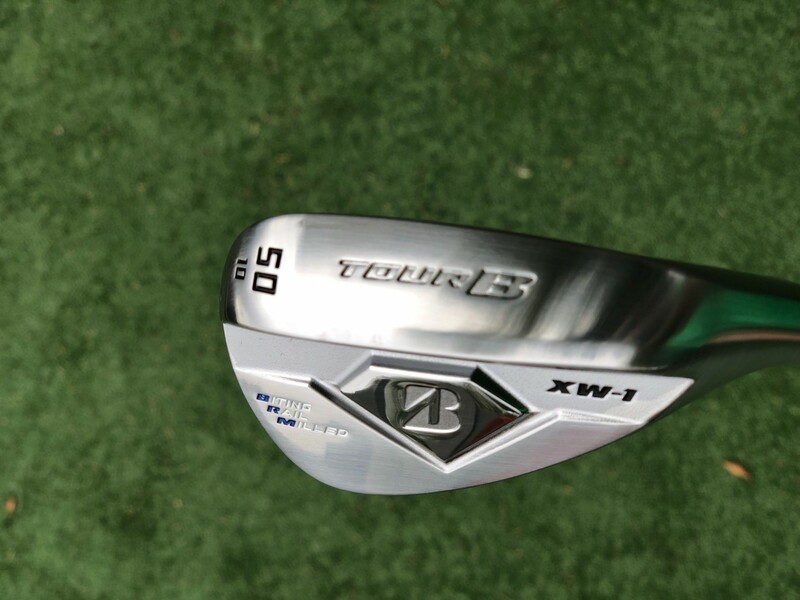 First of all, this 54 wedge just gets me! When I have a full shot distance with this club it is point-and-shoot (albeit a few yards higher & longer than my Ping which I found out the hard way when I went after a back pin ). It's also a great versatile grind for me around the greens, which was helpful because with the super thick rough I wasn't comfortable hitting the 60 for those chips just yet. Two open faced and one toe-down chip were all executed successfully, minus one missed 4-foot par save... It would be weird to keep just the 54 and trade the other two at the end of this, but I'm not opposed if that's what my results prescribe. I like the 50 too - the grind is great for full swings and is better for bump-n-runs than the M-grind on the 54 & 60, provided you have some room. 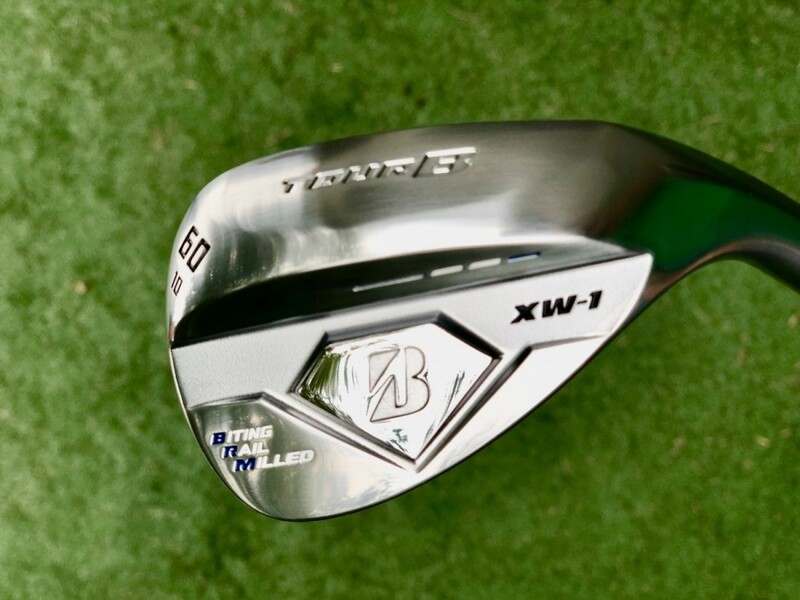 This flies 3-5 yards longer than my Cobra King Forged CB GW - it also flies a bit higher, likely due to the Modus 105 stiff shafts rather than my set's KBS $-taper 130g shafts. For the most part I am fine with that, but YMMV. For what it's worth, the custom options on the Bridgestone website allow for several no-upcharge shafts. If I were buying them now I would probably go with something heavier & lower launching than the 105s. I'm hot and cold on the 60. Still need to figure out my distances. Again, these are going longer than expected and a bit higher than I would ideally like (missed another green long with a full 60 in hand). In addition to the previous comments about digging in sand & soft turf, shorter bunker shots have been a challenge for me as I think I'm still getting used to the weighting. I can't speak to the prior year's 1025s, but I play 1025 forged irons so can give some thoughts here. Feel is pretty similar between the two, except on thin/toe hits. As @TR1PTIK mentioned there is a little clicky feel on thinned/toed shots with the XW-1, while my Cobra King Forged CBs still feel muted/softer even when I thin it. Not sure if that is a 1020 vs 1025 difference, or a Cobra vs. Bridgestone difference though... 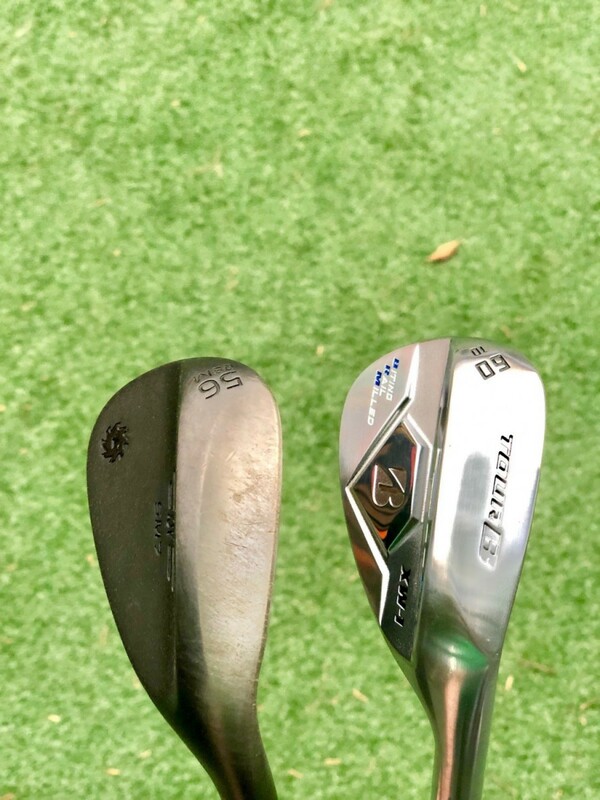 Personally I still think the feel blows my old Vokey SM5 or current Ping Glide 2.0 Stealth wedges out of the water though, even on strikes that are not perfect. @jlukes This has been very useful, and really appreciate you sharing. I am working through a similar process on my end over the last few months (trying to fix a stall with the lower body rotation that leads to early release, flip, pull hook ) and it has often felt like 2 steps forward followed by 1 (sometimes 1.9) steps back. 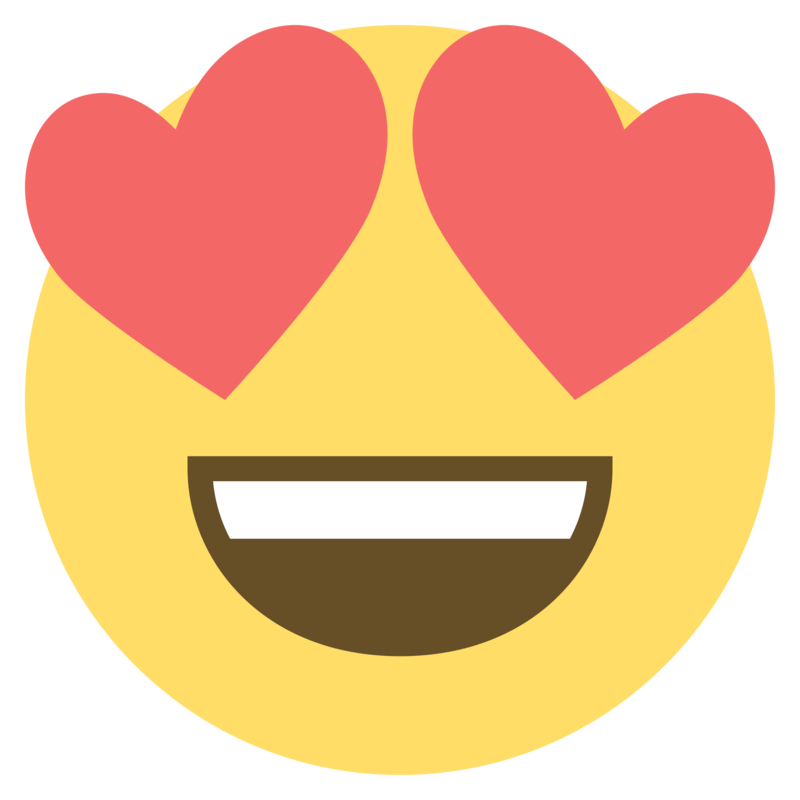 Seeing the written and video updates at each step along the way must be helpful for you to look back on as well, right? I have been keeping notes on my phone but I like what you've done better. I got an initial 3 lessons and have been working through drills since then on my own to try and save money. As you alluded to, with family and work obligations, the time spent on golf is never as much as you hope, so it's hard to commit to focused practice on a Saturday when that would be your only chance to get out on the course with your buddies, but I think another 6-pack of lessons would be money well spent for me in the long run... Please keep sharing as the season picks up for you. Best of luck exiting the 80s on a more permanent basis! I let my brother use the wedges yesterday while I worked. He was drooling on them at the range this weekend and I told him that'd be fine as long as he could provide additional feedback for the forum! Another perspective couldn't hurt, right? He is a 10 GHIN and usually plays Vokey SM7, 50F, 54M and 60M, which is the exact same setup as my Bridgestoners. 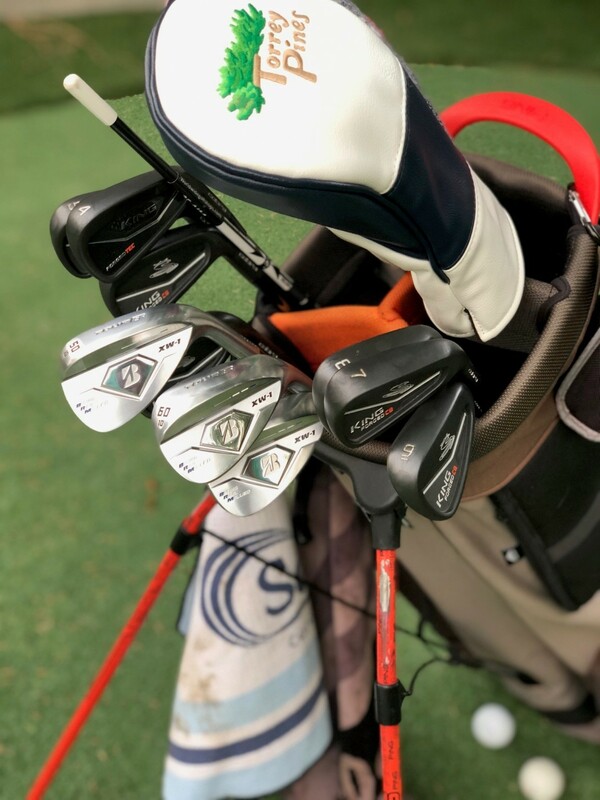 Here are his unfiltered thoughts via text message stream of consciousness post-round: First Text: "Good luck getting these wedges back from me. They are so sick." Okay, ignoring that one since I'll be taking them back for our round Saturday. Could you elaborate? "They do really well on firm turf and spin the ball great. Full shots felt easy with great feel and feedback. I needed to remember to slow down because they are lighter than the Vokeys (note: Vokey swing weight is D5 on the 54; Bridgestone is D3). The grinds were similar to mine so it was easy to get used to them. The 50 I only hit once, a full swing, pure butter." Cool, any differences in spin, or other short game observations? "They spin better than mine. I hit a stock chip (note: his stock chip is to open the face and stance a bit, ball at the back of the stance, weight forward and come down pretty steep on the ball) with the 54 the most of any shot with the wedges and they have this great two bounce and parachute reaction. I caught a couple low on the club face too and they still got up in the air and stopped." "Overall I would say those wedges saved me 4 strokes today with three chips to gimme range and an awesome full swing 60 that I wouldn't have even tried with mine." Sounds like overall very strong feedback - any negatives? "One thing I struggled with was the 60 digging in the sand more than mine. Not sure if it's the difference in weight, or the leading edges, or just user error but it's not something I usually struggle with." I got another range session in over the weekend, and some short game work. The versatility of the M grind around the green is something I'm starting to appreciate more now that I am getting used to the turf interaction. In particular it is easy to open up the face to pop the ball up in the air, and to hit a shorter toe-down chip, which is one of my favorites when I need to clear some kikuyu rough. One area I struggled with was closing the face of the 60 compared to my Ping 58, as the Bridgestone had a greater tendency to dig, whereas the Ping with a little more camber retains some bounce even when closed. I have a couple of short videos to add too but need to get a youtube account setup first . In the meantime, does anyone have questions that I can address? I used them for two rounds and some range work over the weekend. While it's still early and there is a lot left to learn (and I don't want to give away too much yet anyway), initial feedback on the feel is great, as expected. I also loved the 60 out of green side bunkers. Agree, I was pleasantly surprised once I saw them in person, although I think if they got rid of the "Biting Rail Milled" part, the back of the club would look even better. Yes. Not a major issue in my view but worth noting.